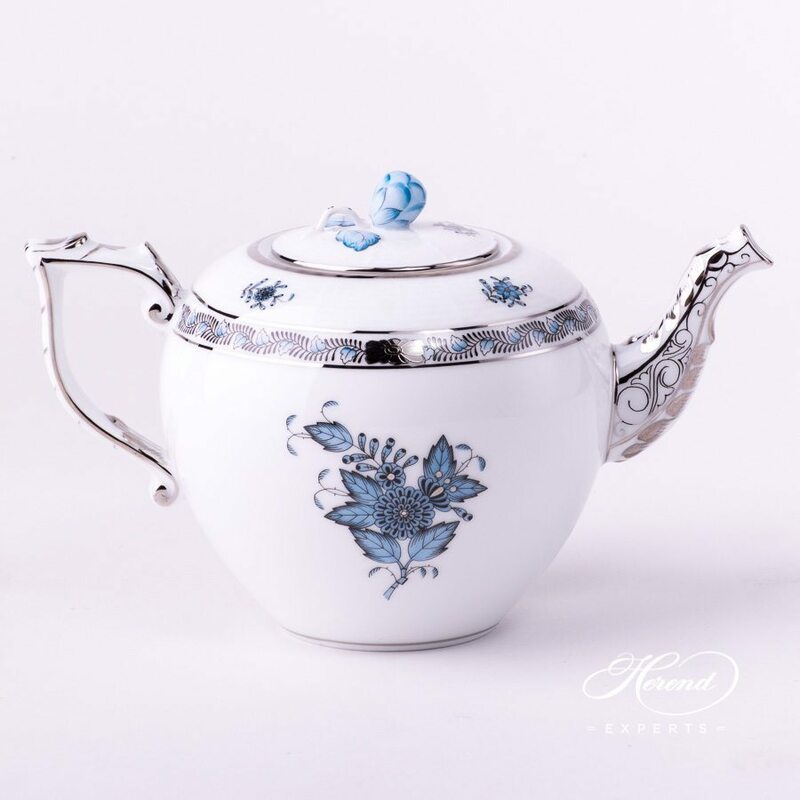 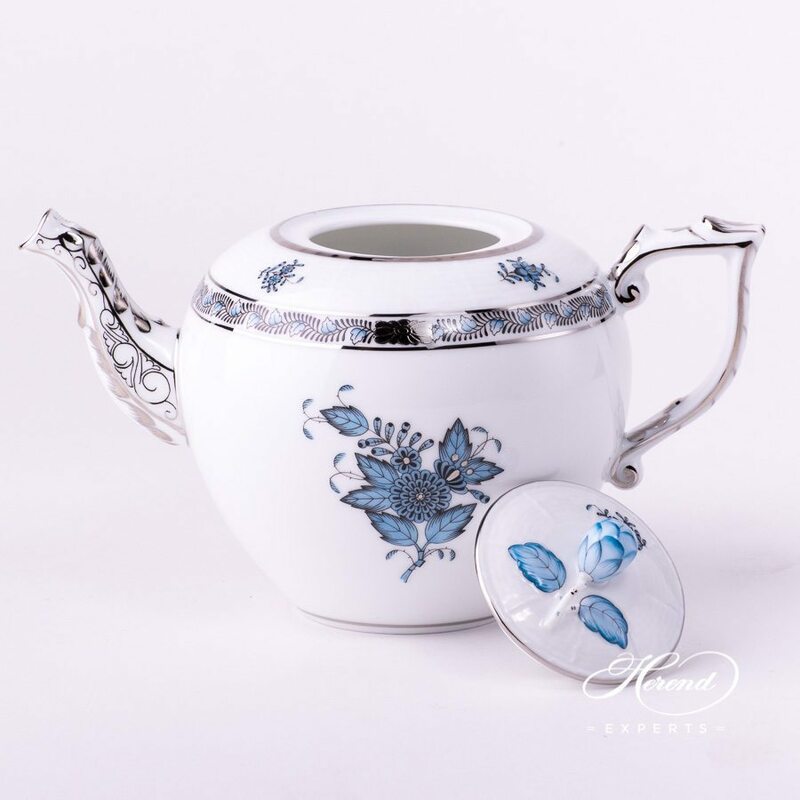 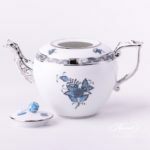 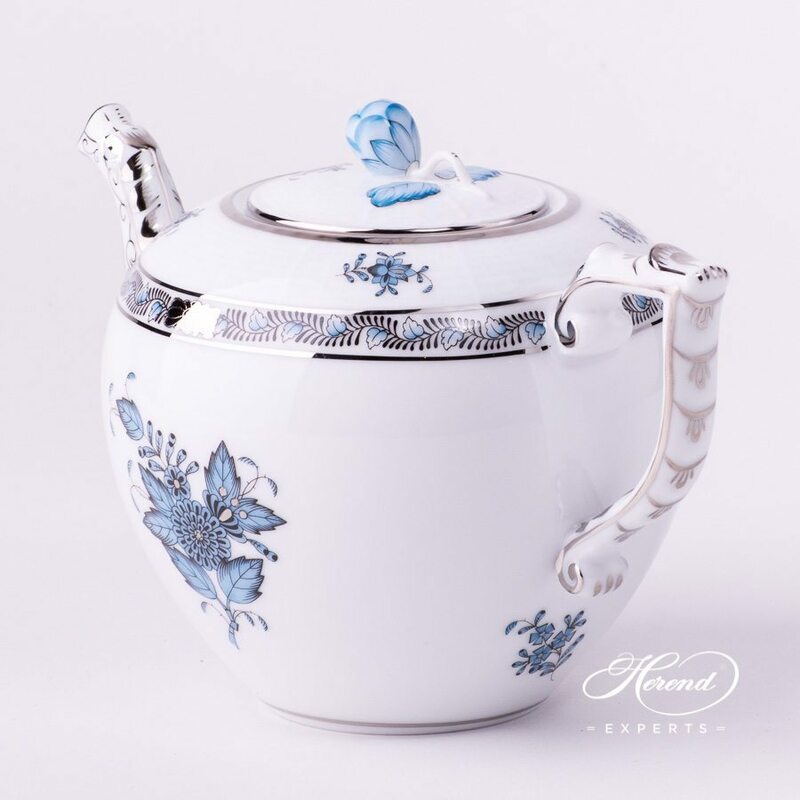 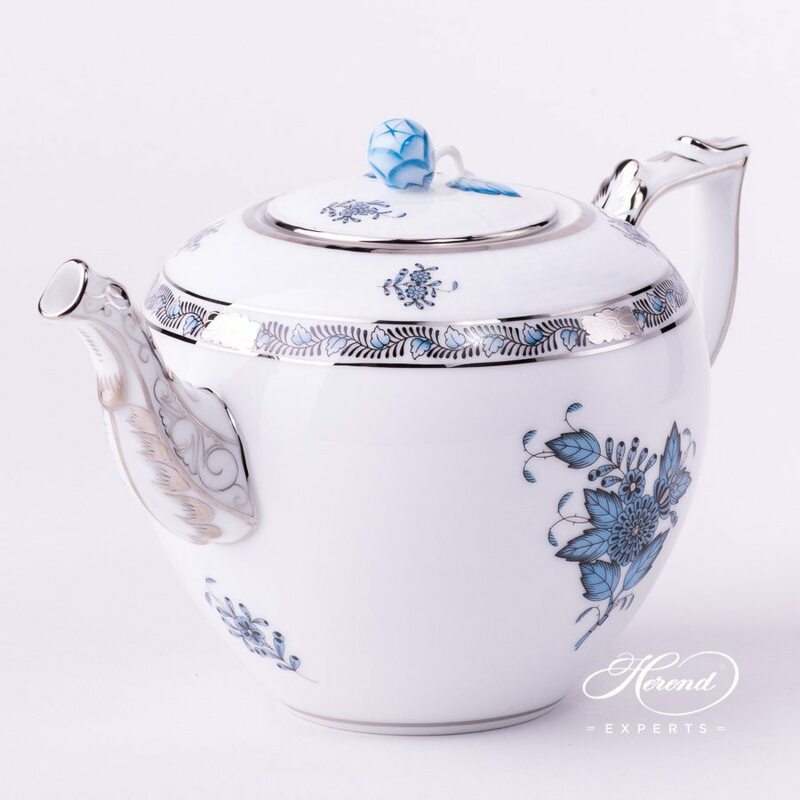 Herend porcelain Tea Pot with Bud Knob – Herend Chinese Bouquet Turquoise / Apponyi Turquoise with Platinum – ATQ3-PT design. 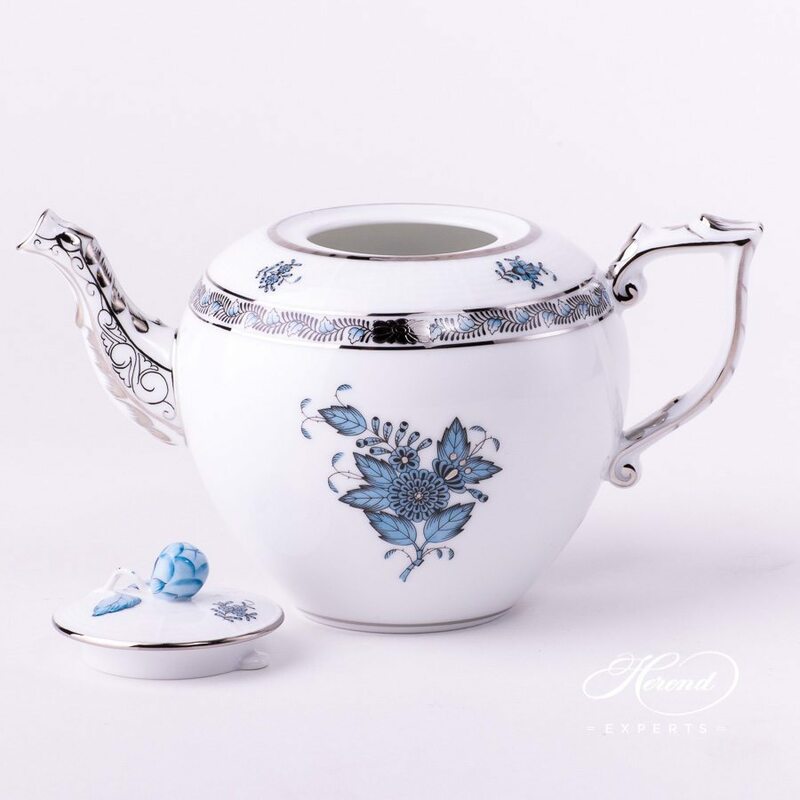 The ATQ3-PT pattern is a modern variant which painted in Turquoise colour and Platinum edge. 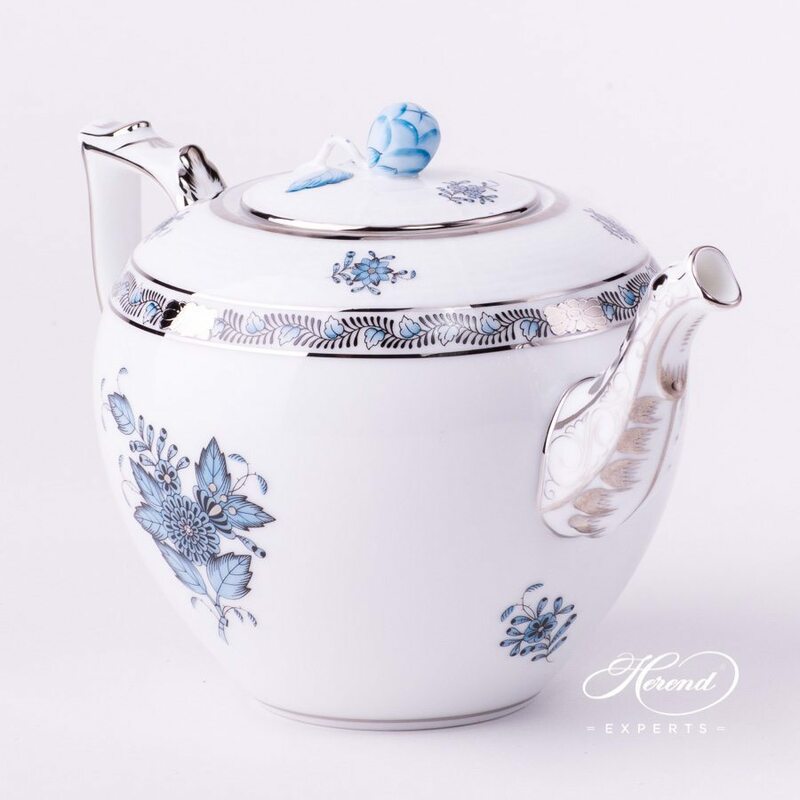 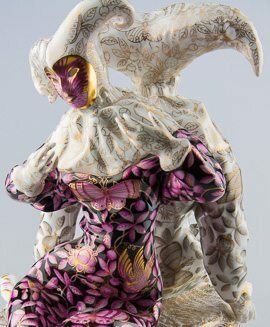 For those people we recommend who like modern style pattern and modern colour version.